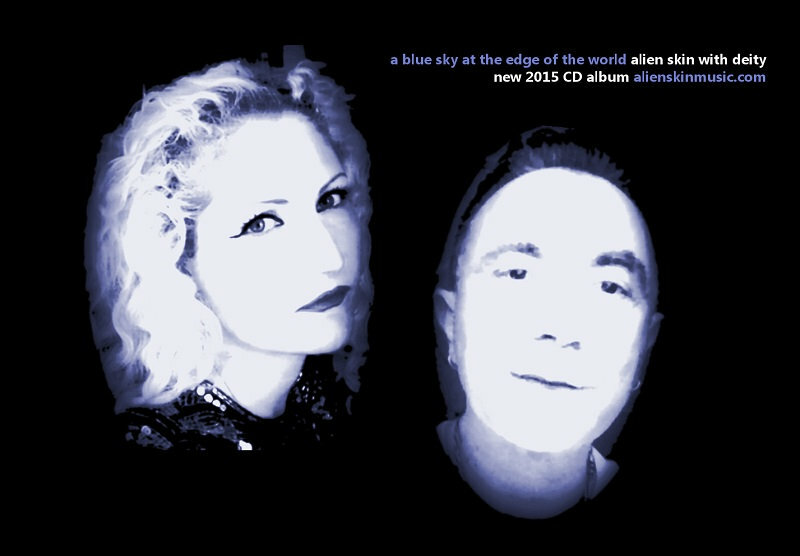 A Blue Sky at The Edge Of The World is the 2015 release from Alien Skin, a project which the artist described as his most ambitious yet. The album features LA’s Deity, an artist whom George Pappas, AKA Alien Skin, felt blessed to work with – her voice breathes vibrant colour & warmth into the new songs, songs which I feel are perhaps the most conceptually refined that I have done. The project opens with the signature sound that is categorically Alien Skin. This ocean of synths supports the pairing of the two artist’s voices beautifully. However, fairly quickly – just a minute and fifteen seconds into The One With The Strangest Of Eyes, to be precise – things take a turn for the far more experimental. This song takes you on an unpredictable journey, during which there are drastic instrumental changes, sudden switches in pace, and varying moments of clear and warped reality that toy with your consciousness. It’s a wild and addictive ride. Following what is one of the most intense and unique openers for any album, Baltic Sea unfolds as a strikingly delicate piece, still teetering somewhere between the light and the dark, but offering a gentler arena of sound within which listeners can drift away or consciously come to terms with the ideas expressed thus far. There’s a brief moment of music without lyricism towards the end of this song, and the resulting effect is huge. The ambiance soaks you and the absence of a leading vocal really leaves a feeling of uneasiness. Your Voice arrives as a stylish and rhythmic trip-hop track with a deeply personal string of lyrics relating to what appears to be an intimate and important relationship. 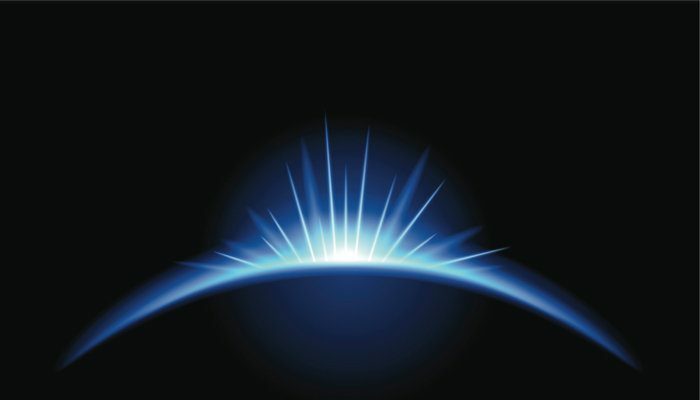 What seems to be a fairly reliable or familiar song at first, soon erupts into something much more complex, melodically and in terms of the overall mood – particularly due to the emergence of some stunning imagery. Sad Lisa Smile pushes the mood even further. This presence of a female counterpart within the lyrics reminds me a little of the links between some songs on the 2012 album Ghost In The Rain. However, emotional connections aside, George’s iconic leading vocal is perhaps the only remaining thread throughout his many releases; this, and the creatively free exploration of synths. Hey Christine holds nothing back and opens as an unapologetic, no-metaphors-needed declaration of past instances of attraction. Once again, the music is impossible to expect, you simply have to surrender yourself to the sound, to the songs, and ride the wave accordingly. This song features a beautiful melody upon which Deity joins Pappas to truly make it shine as brightly as possible. Then you get Strawberry Garden, a piece which surrounds its audience with style and rhythm and soul. There’s a provocative and alluring ambiance to the instrumentation, to the concept, the title, and once again this stunning meeting (and separation) of the two voices. A definite moment of something a little more mainstream or a little more structurally familiar than its peers. Monday Mornings I Abhor is likely to win fans before it even begins. This song has a huge and manic chorus section sandwiched between some incredibly mellow and minimal verses – the resulting impact is intense. The repetition of Baby, Baby, Baby seems a little out of character for the songwriter, it adds perhaps a brief moment of normalcy, of everyday human life, to this otherwise uncommon and deeply thought provoking collection of otherworldly audio art forms. She’s Ephemeral brings things back towards the arena of unusual beauty. This song is sublime, a focused piece of storytelling that keeps you captivated. The music is stunning, this array of synth riffs, blossoming and then cascading around you, feels something like summer rain, intertwined with rhythmic dashes of electricity. An incredibly atmospheric and strangely soothing piece of music. Eloise Woods furthers the soothing nature of Alien Skin’s work and in fact brightens those dark corners with a partly uplifting and hopeful collection of chords. The title track comes as the penultimate offering. Even at this late stage in the project, this track offers perhaps the most complex and experimental of them all. George’s voice stands as separate from the soundscape, and later on, Deity’s performance stands in the same way, perhaps on the opposite side of this particular world. The audio is less musical, more a representation of some section of the story or the concept behind the album. It’s worth listening more than once to really let the ideas in. There’s a haunting mood to the whole thing that will leave you roaming the edges and corners of your own mind, searching for answers to questions you weren’t aware you’d asked. Always this kind of powerful effect comes from listening to Alien Skin’s music, never does it abandon you quite so abruptly as with this particular track though. A fairly memorable experience. Things take a turn for the slightly brighter again, for the final track of the project, the aptly name Happier Now. The song sounds happy, at first, the lyrics talk of memories, real, physical memories and moments from yesteryear. There is, as is often the case, a stint of darkness and uncertainty within the song; Alien Skin’s arrangement of chords always manages to throw you off course with some calculated change from major to minor, just when you least expect it. A fantastic representation of life itself. This album makes for an extraordinary listening experience, one that you can return to again and again, still discovering something new or previously unheard mixed in among the blissful chaos. To date this entire body of work is my proudest Alien Skin moment. – George Pappas. Download the album via Bandcamp. Find & follow Alien Skin on Facebook, Twitter & Instagram. Visit his Website for more information about the album.